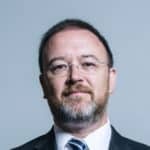 David Duguid is the Conservative MP for Banff and Buchan. David was elected as a Conservative on 9 June 2017. When David speaks in the House, details will appear here. David Duguid: Will my right hon. Friend confirm that it is still this Government’s firm commitment to leave the common fisheries policy and to negotiate as an independent coastal state no later than December 2020? David Duguid: What steps his Department is taking to help maintain the rights of EU citizens in the UK in the event that the UK leaves the EU without a deal. You can find out more about David Duguid MP on the UK Parliament website.